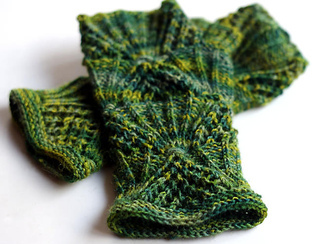 If you buy both Calystegia Mitts and Calystegia Cowl patterns, you will automatically get $ 2 discount. Valid also for previous purchases. 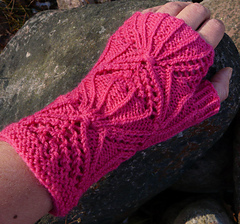 UPDATE: Pattern now available also in Finnish. When you purchase the pattern, it contains two separate files, one in each language. 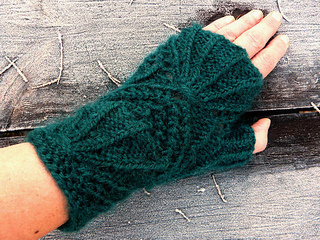 Calystegia Mitts are knit from the fingers to the cuff and designed to match with Calystegia Cowl, but of course you may wear them separately as well. 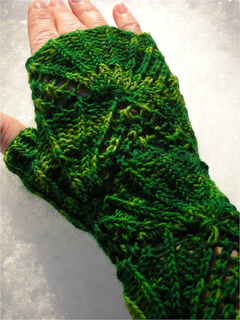 This pattern is charted and is very versatile as there are charts given for three different stitch amounts, so it’s easy to adjust mitts smaller or bigger by choosing finer or thicker yarn and a version with less or more stitches. This pattern is stretchy, so an accurate gauge is difficult to give. You will also need one spare needle (dpn) and 1 - 2 stitch holders or waste yarn. Be prepared, that you may need more yarn. Yardage depends a lot on your yarn and needle choice. 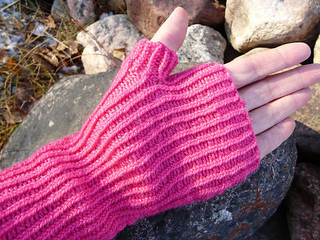 Many thanks for stricker and Katju who test knitted these mittens.